Significant progress has been made over the last decade towards the elimination of paediatric AIDS. Yet each day, almost 700 children are still infected with HIV. 90% of these children live in sub-Saharan Africa, and most acquire HIV from their mothers during pregnancy, childbirth, and breastfeeding. This is particularly tragic, because it’s almost entirely preventable. Effective and inexpensive medical interventions are available that can keep mothers and babies healthy. Without these interventions, up to 40% of infants born to HIV-positive mothers will contract the virus.With treatment, that number can be reduced to 2%. However, most health centres in sub-Saharan Africa are severely understaffed which leaves doctors and nurses with only minutes to give a pregnant woman her HIV diagnosis and explain all of the drugs and tests she must adhere to in order to keep herself healthy and protect her baby from HIV. The stigma of HIV that is prevalent in many African communities causes women to live in fear, making it difficult for them to get the care they need. Mothers2mothers (m2m) wants to change this. They train, employ, and empower “Mentor Mothers”, who are mothers living with HIV, to work alongside doctors and nurses in understaffed health centres as members of the healthcare team. In one-on-one and group sessions, Mentor Mothers provide essential health education and psychosocial support to other HIV-positive mothers on how they can protect their babies from HIV infection, and keep themselves and their families healthy. Mentor Mothers’ ties to the community and first hand-hand knowledge of HIV makes them highly effective peer mentors. 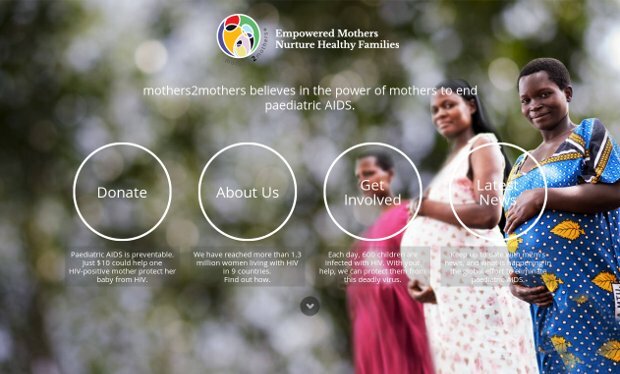 The Mentor Mother Model has been identified as a key strategy in the United Nations Global Plan to eliminate paediatric AIDS by 2015 and keep mothers alive.